Join Radhaa for a sacred Soirée at Mystic Journey Bookstore. The event starts January 17th at 6:30 pm and there will be champagne, and light snacks are served. Mystic Journey Bookstore is located at 1642 Abbot Kinney Rd., Venice, CA. Signed books will be available. We are so excited and honoured to announce the very first book signing and book reading for Radhaa Nilia's Quan Yin, The Goddess Code Activations Healing Workbook. Goddess Quan Yin is an Ancient and Beloved Goddess from the East. As an Ascended Master who is unconditionally loving and compassionate, her only goal is to help liberate humanity. Quan Yin is a member of the board of karma and can assist in releasing one from the karmic wheel of suffering. Quan Yin Goddess Code Activations workbook is content rich and provides a step by step guide to invoke her blessings. It is designed to help release negative beliefs or energy so you can live a life filled with more love, peace, joy, and ease. Invoke Goddess Quan Yin in all her blessings through the sacred techniques in this workbook, an essential guide towards your transformation. This workbook complements and enhances any spiritual practice. Radhaa Nilia, is the founder and creatress of the Goddess Code Academy. She created this mystical school for the modern goddess. Her vision for this work is to serve women through transformative education and empowerment in a safe and supportive community. The Academy offers training and certification programs for all who are drawn to it. As an intuitive teacher, coach, and holistic healer, she is also a fifth-generation Shaman who empowers women to heal their heart and soul wounds. 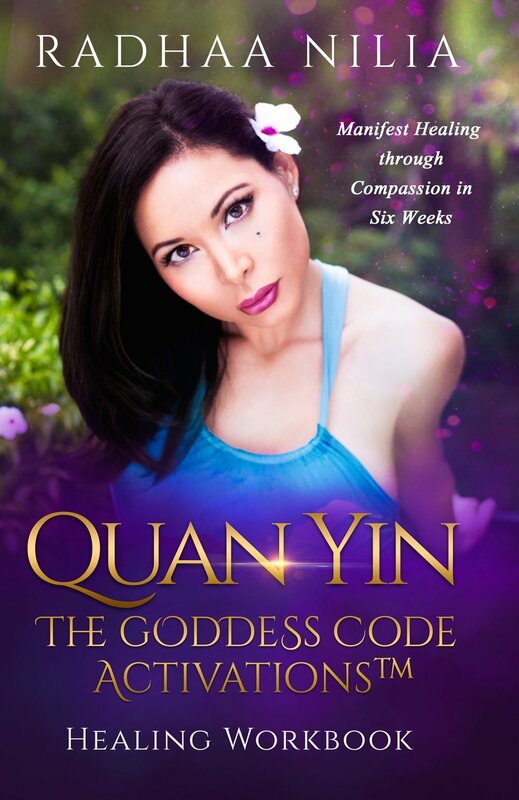 Her first book Quan Yin Goddess Code Activations is a workbook that she created for her program, but she felt it was important to share this work with as many people as possible in a way that was affordable, yet had all of the elements that made her programs so successful. We are at a place of great tranformation in the world and every effort we make, even the work we do within is helping to contribute to a more awakened world. 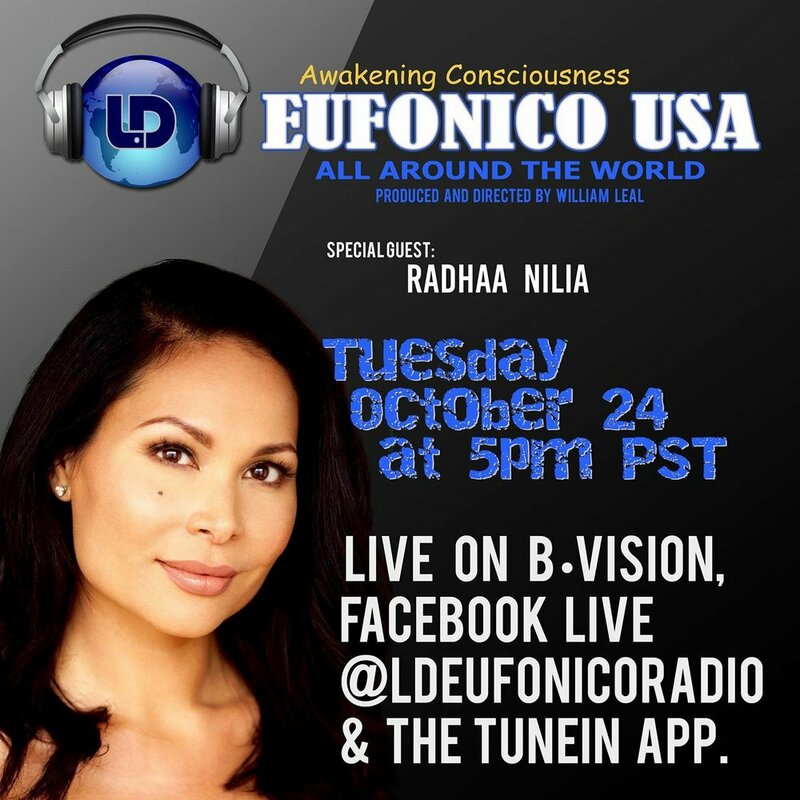 Join Radhaa for a live session on Awakening Consciousness. Tune in at 5pm pst for LIVE show! Radhaa will be talking about Ancestral lineage healing and doing work in realtime.